Julie asked me to do these cupcakes for a baby shower. The theme was Little Mermaid and the colours pink of course for a little girl. 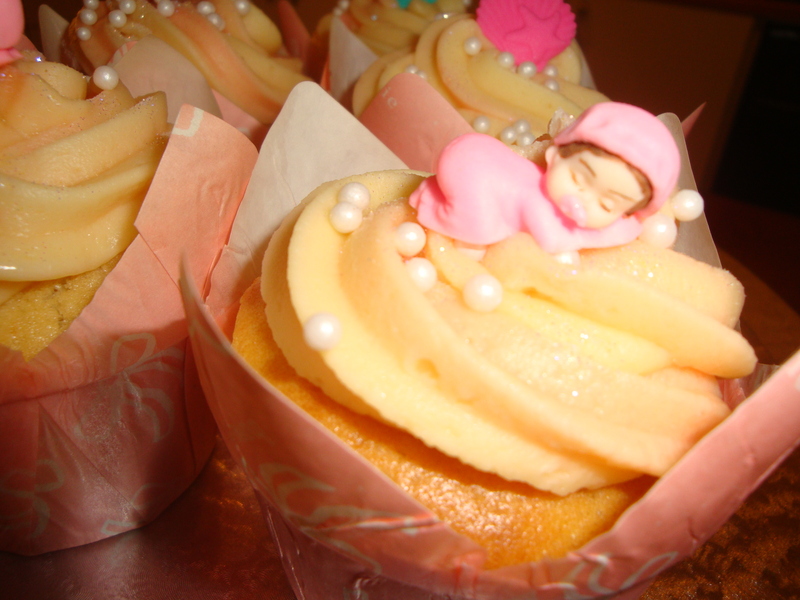 I used little pink sleeping babies and colourful shells and finished off sprinkling each cupcake with tiny pearls – all purchased at Baking Bitz (Rabie Road). Delighted how cute they looked. Lisa, you are so clever. These are truly beautiful – so cute. Thanks but hats off or should I say baby beanies off to the people that made those cute sleeping babies.